This challenge started by January 1st, so I'll count books read since then, even if they weren't deliberately chosen for this challenge. First in a Series challenge. 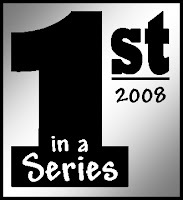 Read 12 books in 2008 that are the first in a series. New authors are not required.